The 26. European Stroke Conference has closed! Thank you very much for being with us. This meeting was again most successful! 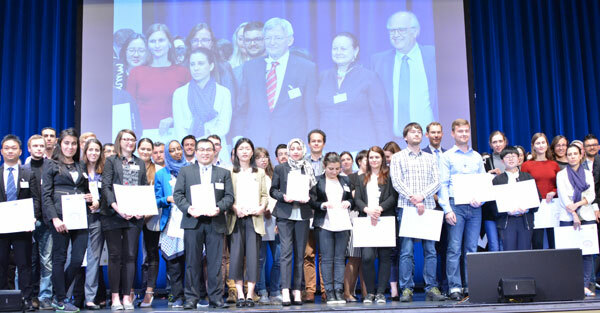 Free of any industrial influence, full of stimulant and open discussions, high scientific standards in symposia, plenary sessions, teaching courses, hands on sessions and in particular an exciting final awards and travel grants closure. We do hope to see you all in Athens, Greece 11 – 12 April 2018! 26. 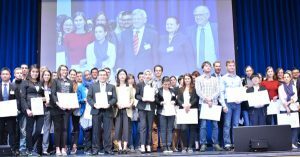 ESC, Berlin, Germany 2017 from European Stroke Conference /ESC on Vimeo. Please find the Programme E-book for the 26. 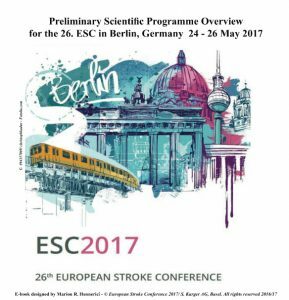 European Stroke Conference in Berlin, Germany 2017 including nearly all programme details and all abstracts! The Videos on Demand on our Vimeo account and the Web documentation will be published in a few weeks!